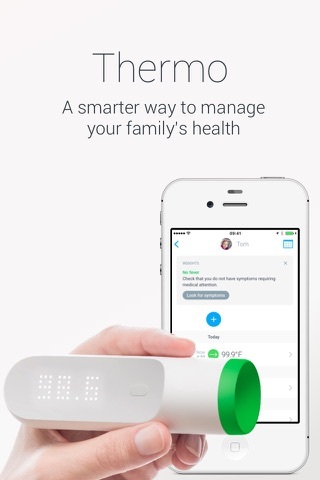 The Thermo app helps you take care of your whole family’s health. Created for use with Thermo, the Nokia smart temporal thermometer, the app automatically syncs temperature readings for each user via WiFi or Bluetooth. Each user can then view a complete history of temperature readings on their timeline. 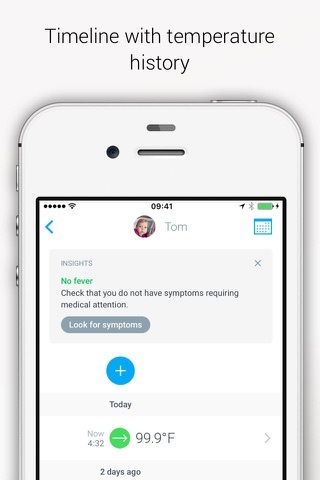 Symptoms: Whatever and whenever you or someone you care for experiences a symptom, it’s easier than ever to keep track so you can relay this info to your doctor. Medicine: What did you take and when? 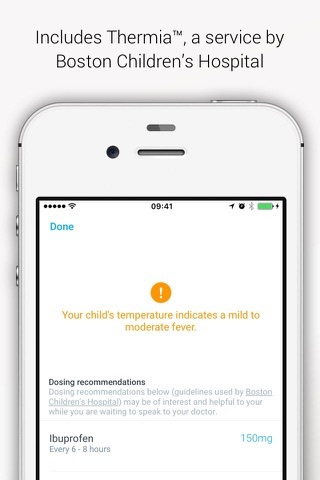 Add medications administered to understand how they affect temperature and so you know when and if you need more. 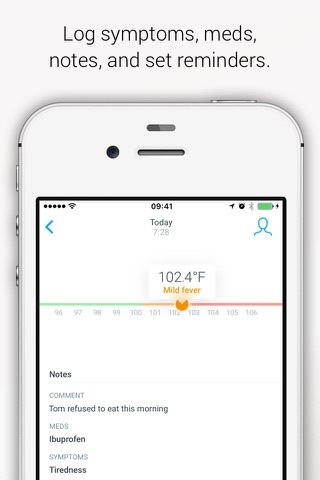 Comments: Add any additional notes that may be relevant to your temperature or illness. Photos: Strange rash? Feeling better? Select a picture from your phone’s gallery, or take a new picture to add to your timeline. Reminder: Set a reminder to take your temperature at certain hours of the day or in specific time increments. Manual Temperature: If you don’t own Nokia Thermo, or simply want to enter additional temperature readings, you can do just that. Simply select “Manual Temperature” and add your details. 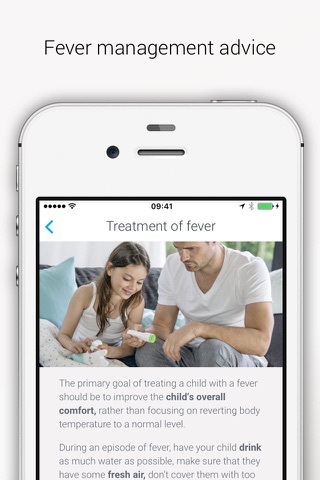 If you log a high temperature reading, Thermo can help you assess the severity of your fever.